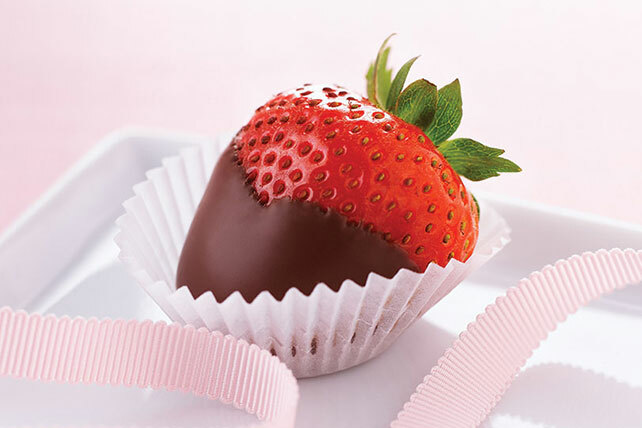 Enjoy these easy Chocolate-Covered Strawberries as a romantic treat. Our easy Chocolate-Covered Strawberries recipe uses semi-sweet chocolate. Dip strawberries in chocolate; let excess chocolate drip off. Place on waxed paper-covered rimmed baking sheet. Refrigerate 30 min. or until chocolate is firm.